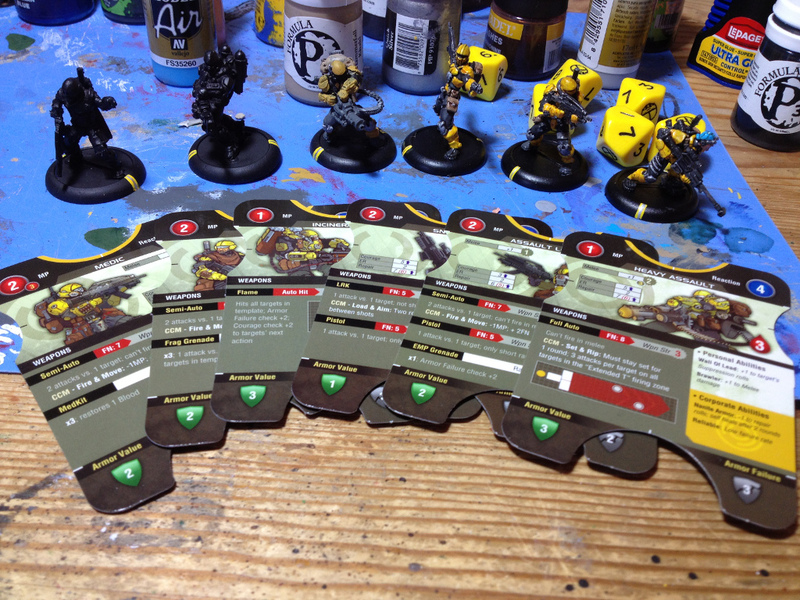 I backed the MERCS:Recon kickstarter but there was no way I was going to wait until January to start playing so I went out and bought a CCC starter box because they look like a good beginner faction. Here is my progress so far. 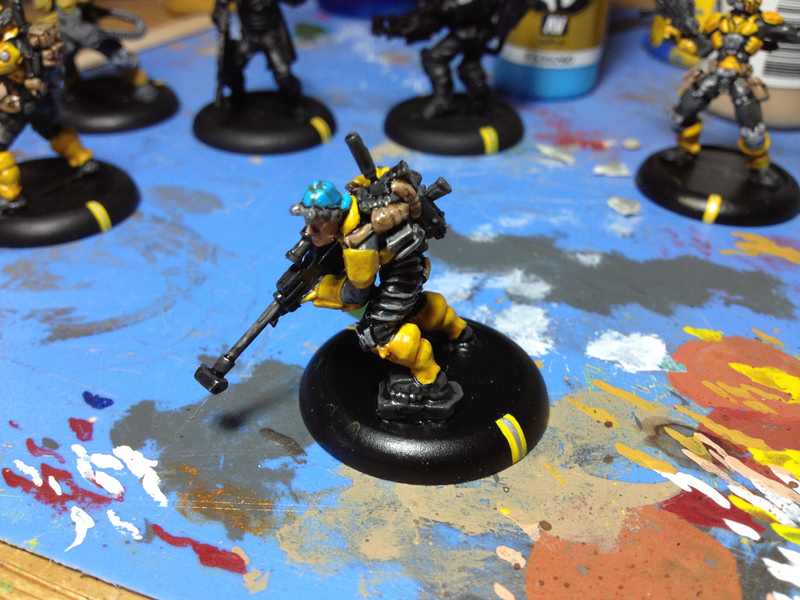 I still need to do the bases but I’m probably going to order some resin bases to all my MERCS because the squad sizes are so small and it won’t break the bank. 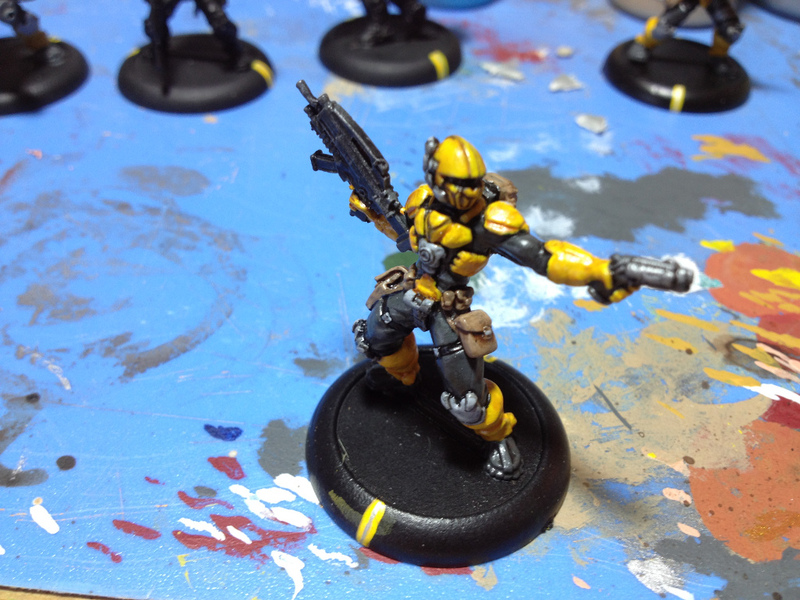 This entry was posted in MERCS and tagged CCC, Mercs, Painting Table by Nick. Bookmark the permalink. 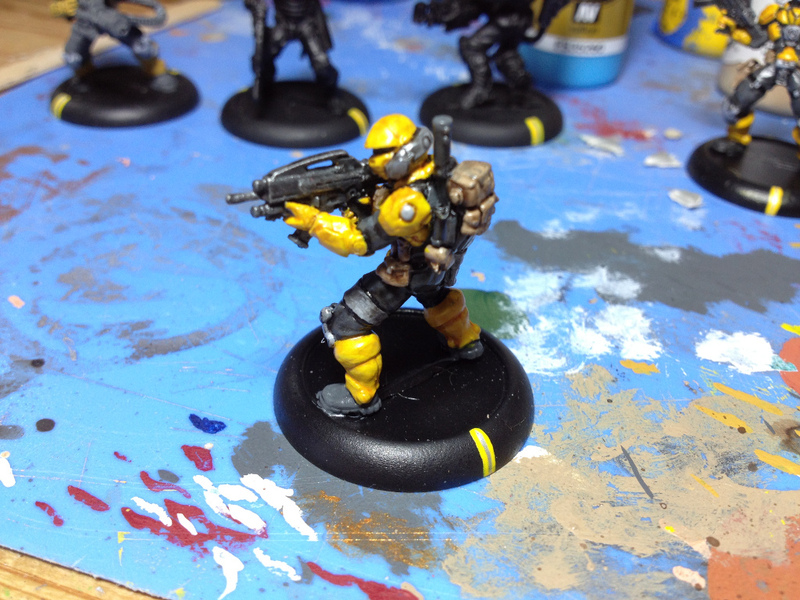 Lovin’ the colour scheme, yellow & black looks awesome! The assault leader also looks badass! Are those the same bases as WarmaHordes btw? Thanks Bennep! I’m digging these models. After about 2 years of painting nothing but Warmachine minis its a nice change. The bases used in MERCS are also 30mm round lipped based. .
As for the bases, Bennep… yeah, I think they’re identical (they may even be the same manufacturer! ).